The general view of the Donald Trump Jr. email bombshell, according to sources within and close to the White House: no crime, all perception. They know it was politically awful, but have decided there was no real crime. Their main areas of focus: 1) Who leaked this? Who is the mole? 2) How do we deal with this? Many of our White House sources are playing amateur detective, some with whackier theories than others, and some of which turn on people within the White House. Suspicion spread between people who worked in campaign and in White House, and while no one we've spoken to has any evidence to support their theories, it's not stopping them from speculating. 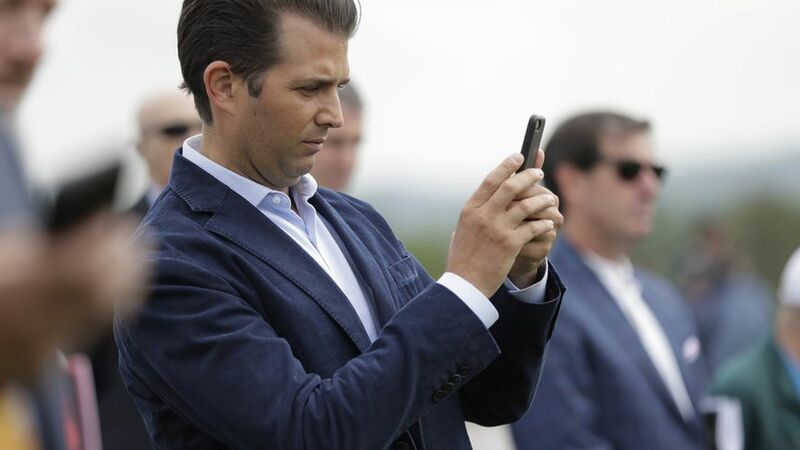 It's creating a very tense environment, and a number of administration officials can't believe the level of foolishness required for Don Jr. to not only do this but to have such a conversation over email. There's a lot of internal anger over who gave this information to the NYT, which cited three people with knowledge of the emails in its report last night. There's an emerging strategy to turn this back around on the Democrats. An extreme example of this approach is Roger Stone, who texted Axios: "The president can turn the tables and dominate the dialogue by ordering the indictment of [James] Clapper, [John] Brennan, [Susan] Rice and [former president Barack] Obama for the wholesale unconstitutional surveillance of Americans... I would seriously arrest [and] perp walk every one of these criminals, making as big a show of it as possible." Although Stone is a longtime confidant of Trump, this in no way reflects the strategy preferred by current White House staffers. With that said, there are already internal conversations about turning this into a conversation about Hillary Clinton and Barack Obama, and the way they handled sensitive intelligence.